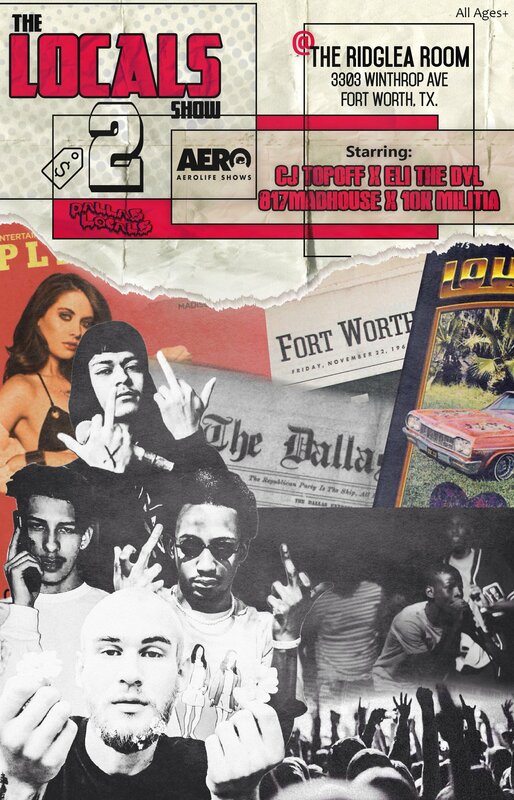 AEROLIFESHOWS & Dallas Locals Present The Locals Show 2 in Fort Worth! March 17 at The Ridglea Room! Headlined by CJ Top Off, Eli The Dyl, 817 Madhouse & 10k Militia! Text 817-944-8820 for vending or performance opportunities!